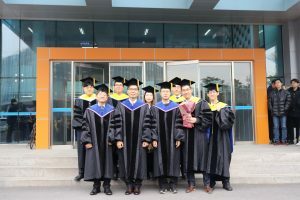 KAIST held its commencement 2019 on February 15, 2019. Separate from the university’s commencement, the College of Natural Sciences hosted a hooding ceremony for doctoral candidates on the morning of the same day at Fusion Hall, KI building on campus. There were a total of ten graduates from the Department of Mathematical Sciences (DMS) who received doctoral degrees in August 2018 and February 2019, respectively. 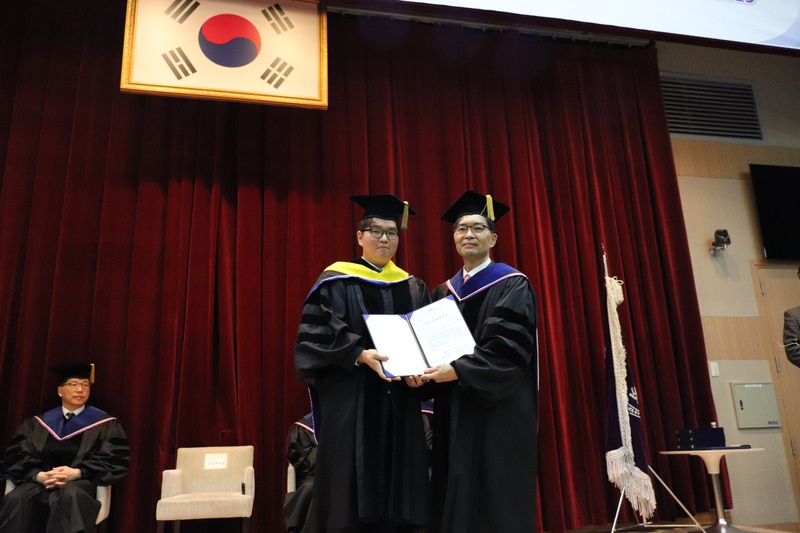 Starting from this year, the Dean of Natural Sciences College bestowed, on behalf of the KAIST president, the Outstanding Thesis Awards upon a few graduates selected by the departments of physics, mathematical sciences, and chemistry. The awards recognize excellent performance by students who have completed a doctoral dissertation. Junbeom Kim, receiving his Ph.D. degree in February 2019, was the first DMS recipient for the awards. Graduates (Class of 2019) from the Department of Mathematical Sciences are posing together with faculty members. 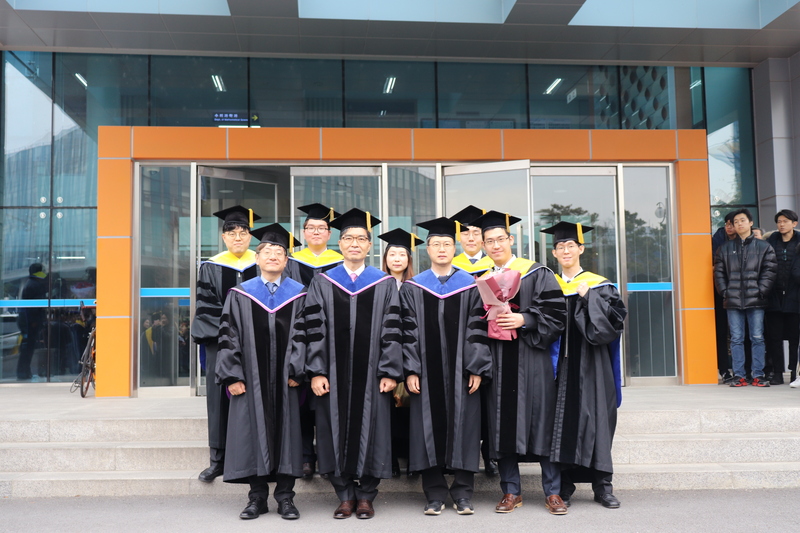 First row from left to right are: Yongnam Lee, Head of the Department of Mathematical Sciences, Sang-Kyu Kim, Dean of the College of Natural Sciences, Gang-Uk Hwang, Director of Graduate Studies, Department of Mathematical Sciences, and Dr. Youngrock Oh. In the second row from left to right are: Dr. Junwoo Kim, Dr. Junbeom Kim, Dr. Jieun Choi, Dr. Younghoon Jung, and Dr. Daseul Bae.